Both the paths of the creek flows and the names of the creeks in Palo Alto have changed over the years. Many of the smaller creeks did not have permanent channels extending all the way downstream to the Bay. Most years, their small flows soaked into the porous soils in the flatlands; only during floods did their flows remain on the surface all the way to the Bay. 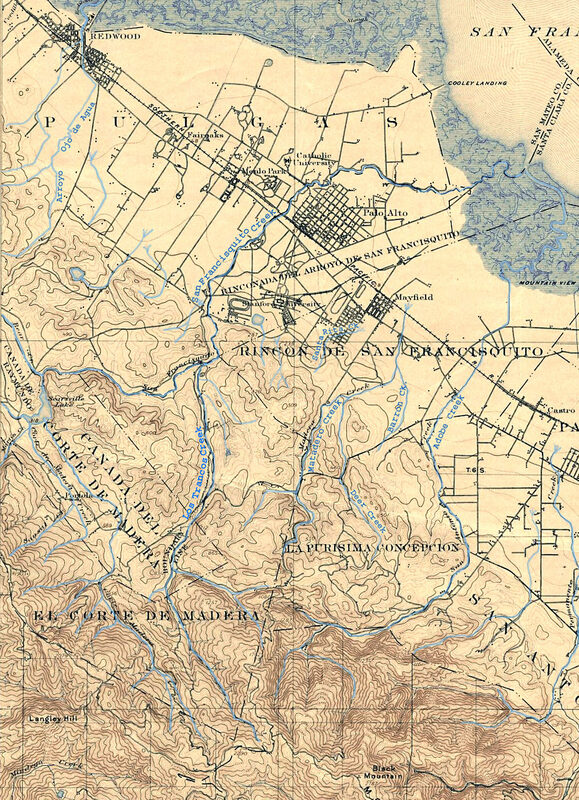 Adobe Creek was originally called San Antonio Creek, and Matadero Creek was called Corte Madera Creek.